Home / FOOD (+ BEVERAGE) / BE OUR CONTRIBUTOR! It has never been so fun, and so easy to put your word out there. 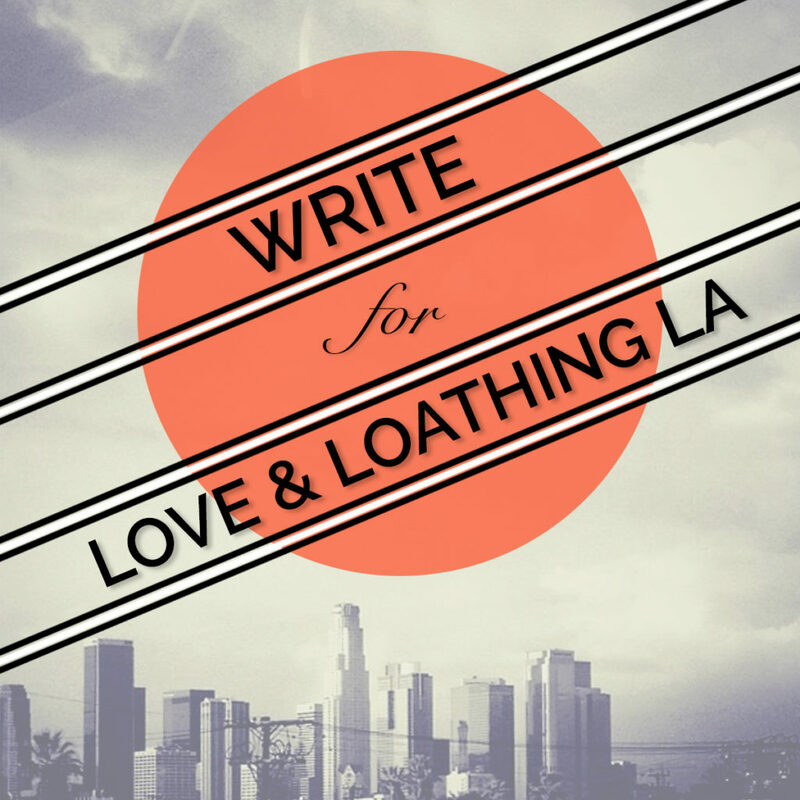 At Love & Loathing LA we’re ALWAYS looking for people to share their stories and contribute posts about their “Only In LA” experiences. 1. Think of your craziest, funniest, most random, most terrifying, most exciting, etc, moment you’ve had in the City of Angels… one ONLY this city could give you – we ALL have at least one story. Think “only in LA would this happen.”: “that one time I partied with ___”, “that one time I ended up on a reality tv show”, “that one time I went to ____ exclusive event and ____ happened”… you get the idea. 2. Write that story down, on your computer. It can be short, it can be long, whatever. It does not have to be a college, grammar, English paper of doom – write it like you’re telling a friend! 4. Get featured. Get praised. Boom. IT’S AS EASY and FUN AS THAT. There may even be a treat in it for you. Send your story to find out! For more inspiration check out Heather’s story, Lindsay’s story, and Corey’s story then get to writing!